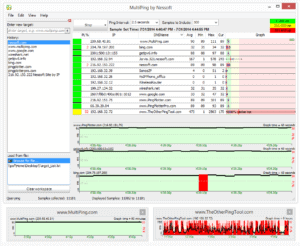 MultiPing is an affordable, lightweight tool that provides a graphical view of network performance. 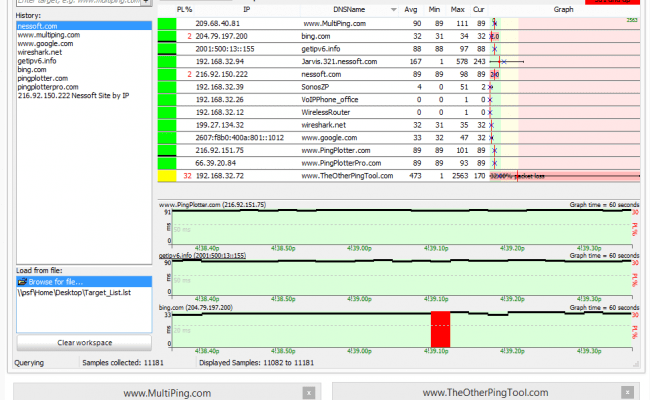 It allows you to simultaneously monitor numerous targets, and provides detailed historical information about the data it collects. See additional pricing on their website!